We’ve been quietly working for several months now: planning, signing, renovating, moving and preparing. Finally, we’re happy to announce our expansion to Edmonton, Alberta! We are so excited to find our place in the community, to bring the same trusted service and care that we’ve brought to Lethbridge. To spread our mission of a wholesome, natural lifestyle for every pet, along with quality products and helpful advice. But why hear it from me when you can hear it from the mouth of our co-owner, Evan Ropp? 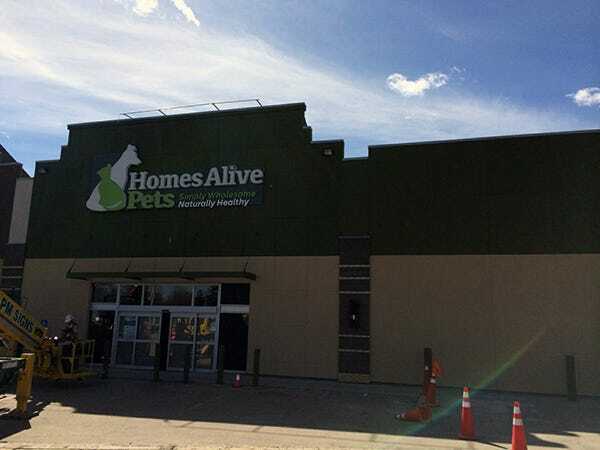 I've interviewed Evan about the new Edmonton pet store to give you a heads-up on what Homes Alive has planned for Alberta's capital. Evan: There are a couple of reasons that I can think of. The first is that there is opportunity in the market. What I mean by that is that the response we’ve got in Lethbridge says that customers are looking for something different than what is already there. 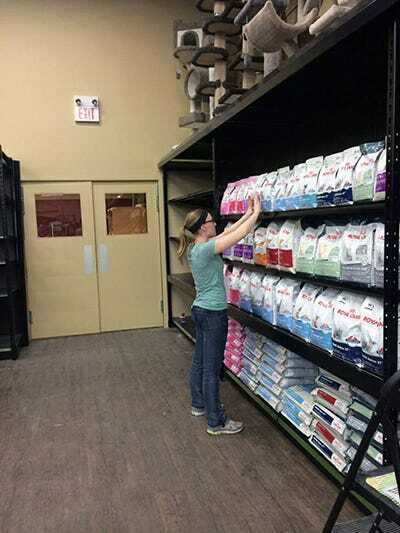 Customers are looking for quality pet supplies, but people that know what they’re talking about. And they’re looking for quality pet supplies at fair prices. Customers are telling us that they like what we’re doing in Lethbridge and I think that Edmonton will respond in the same way. The other reason is we’re growing in Lethbridge and doing well in Lethbridge, so expanding to new markets is just the next step. We’re not trying to sell out or get rid of the business. We want to continue to grow this thing. How do you expect to keep the same locally-owned feel to other locations? Evan: I think that this will be a very real challenge if the company continues to grow, but for a second market, I think we will be able to keep the same locally owned feel, because we are, in fact, still locally owned. Leon moved to Edmonton, a couple of our managers moved to Edmonton. So the dynamics don’t change at all actually. I’m (Evan) still in Lethbridge, and Leon will be in Edmonton. What made you choose Edmonton? Evan: We looked at different markets in Alberta, and we’re trying to stay within proximity to Lethbridge for logistic reasons. The sense that we got from Edmonton was that it would be ready for this type of store. Edmonton seems to have a soul to it that responds well to rescues and is pet-conscious. I mean, the Humane Society is very successful here. Other shelters and rescues are quite successful here. From a city personality standpoint, there will be a good alignment. There is an opportunity in terms of location. There were a couple of parameters that we were working within and this location on St. Albert Trail fit the bill. Putting those two things together, I think we can really make this work. Are there any unique opportunities in Edmonton that you’re excited about? Evan: I think the more that I get to know Edmonton and the more that I spend time here, the more these unique opportunities will come up. Every city has their different values and it will be different for us coming to a larger city. It will be louder, more noisy than a city like Lethbridge. But with that said, I just had a meeting with the Humane Society and they’re excited to work with local companies. I’m extremely excited to work with an organization like that. I’m excited to network and get to know the shelters in the community. And to see how as a business we can get involved in the community. Unique opportunities as a whole excite me because it’s not self-professing advertising, and that’s how us little guys as a small business portray our personality. We’re just in store-opening mode, so we haven’t looked beyond much, but I think those unique opportunities will continue to define us as they have in Lethbridge. You’ve worked very closely with community organizations, as well as shelters and rescues in Lethbridge. Do you see that same community-mindedness also transferring to Edmonton? Evan: Absolutely. It’s in our mission to enrich the lives of our communities. The exciting thing for me is that going to new markets you explore the different ways that this community is different from the other community. There are new ways to make a difference: whether it’s through creating phenomenal jobs for new employees, getting involved in the shelter and rescue community, networking with others in the pet industry and profession, exploring different ways with city programs and bylaws. Like are there programs for keeping dog poop off the walking paths? Those are all ideas on how we can make a difference. I think we want to continue to explore those. Being community-minded is a major advantage of a local business and a small family-owned business. We are neighbours with our customers. We are living in the same community. Is there anything that worries you about moving to Edmonton? Evan: There’s a lot that I can get anxious about. We don’t know what we don’t know. The thing that is scary when coming to a larger market is it’s a massive market compared to Lethbridge. You don’t know how customers will respond to what you have to offer. We believe that there’s an opportunity in the industry. We believe that customers are looking for quality and service, fair pricing, and a great shopping experience. I believe that they’re looking for a place where they can whip in and whip out, and get their pet food and their pet supplies easily, but ultimately, I don’t know. So, yeah, that’s very scary, but it’s exciting at the same time. What would you most like the people of Edmonton to know about what Homes Alive is – in a nutshell? Evan: To the core, my dad and I believe business serves a bigger purpose. Not just dollars and cents - obviously, you have to be profitable. But enriching lives of pets, our customers, our employees and our team members around us, and our community. It’s a very, very real and important function of business. I want the people of Edmonton to know how Homes Alive is different in terms of models and how our products are different and the knowledge and things like that, but more importantly, who we are. I think in Lethbridge people have discovered why we’re in business and that’s why we’re doing well there. It takes time to build trust and I don’t expect people to trust us on their first visit, but hopefully we can build that trust with our customers. And that they can see that this is, in fact what Homes Alive is about. What do you think is different about Homes Alive when compared with other pet stores? Evan: We provide a little bit of the best of both worlds that people are looking for and I think that oftentimes customers are compromising on. So sometimes a customer might be looking for selection and quality, and it’s hard to find those things at the same place. Or they’re looking for quality and fair prices, but it’s hard to find those things at the same place. So customers will either find themselves at a big box or a grocery store or a mass retailer, or they’ll find themselves at a small franchise or mom-and-pop store, but they’ll find themselves on either end of the spectrum. They’re compromising on either selection, or quality, or price, or knowledge, and I really do believe that Homes Alive provides all of those things and we try very hard to. What would you like to see in the future for Homes Alive? Evan: That’s a really good question. For the future of Homes Alive, I hope that we can get better at providing information and education for pet owners so that pets can live healthier, better quality lives. Not just surviving, but thriving. I hope that Homes Alive can be a very valuable resource for pets and pet owners and I want to continue to do that. I hope that we can be a sincere and trusted company for customers, so that if we mess up, we can admit our faults and we can have fun and enjoy our customers and they can enjoy us as a company. Ultimately, I want them to be able to trust us. I think we really have that in Lethbridge and I want to do that in Edmonton. As we grow, I hope that that reputation will continue to perpetuate forward. I really want that for Homes Alive. We open our doors and people think that we’re a larger corporation or franchise or something like that. I don’t want this big box personality, even though some may assume that we are just because we’re clean and professional. I like to put energy into creating a clean atmosphere and good graphic design, but I hope that Homes Alive will have more of a personality and that personality will continue to grow. For our employees, I hope that Homes Alive will be a springboard. Whether they stay with us and develop into careers, or Homes Alive is a stepping stone. One thing for me as an employer that is very important, is if people come to work for Homes Alive, even for a short while, and they end up moving on to a different career or a different path, if they leave here more equipped - a better employee - then I have done my job, and I’ve contributed to the community around me and I’ve contributed to them as individuals in their lives. So the more that we grow, we can provide more career opportunities, and ultimately you have more people that you are impacting. As far as community, people’s awareness of corporations and businesses is continuing to grow. I want to be a very responsible business, a business that invests in my community, both locally – shelters and rescues, youth organizations and developing people locally – and globally – with the orphanage my parents are involved in and other global projects or humanitarian initiatives. Business is a tremendous tool that can have a bad label, but it’s a very good thing and a very powerful thing if used properly. From voice recording with Evan Ropp, April 14, 2015. Need more information and to be informed when we're opening in Edmonton? 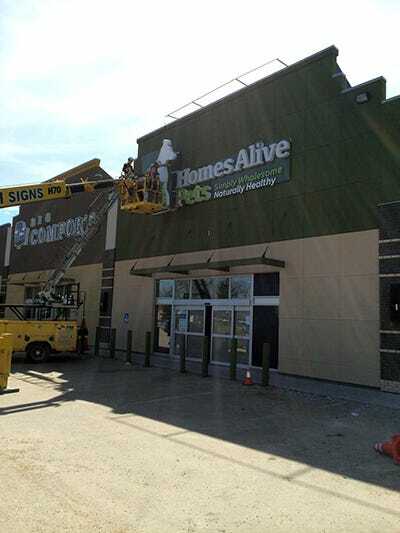 Visit the Homes Alive Is Coming to Edmonton page. Have a question for us? Comment below!